APPSC AEE Mains Results 2016: The Andhra Pradesh Public Service Commission (APPSC) has declared the result of Assistant Executive Engineer (AEE) Mains Examination, Cutoff Marks, Merit list, Interview Dates at psc.ap.gov.in. The APPSC has conducted the AEE Mains Examination on 29th and 30th December. The examination has been conducted in morning and afternoon sessions. 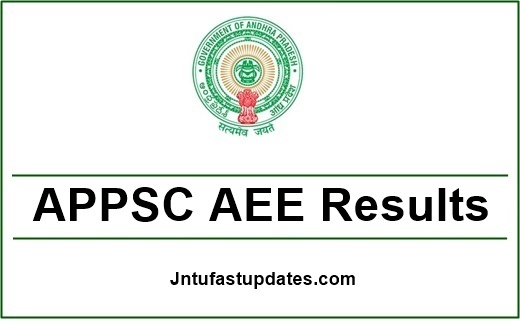 appsc aee results 2016 mains: Candidates clearing the preliminary examination have attempted the APPSC AEE Mains Examination and are eagerly waiting to check the result. All the aspirants appeared for the APPSC AEE Mains examination 2016 can check their result from in APPSC official website, appsc.gov.in. Candidates can also check more info such as APPSC AEE Mains Score, APPSC AEE Mains Cutoff marks, and APPSC AEE Interview dates. Go through the article to get complete details of APPSC AEE Posts. The Andhra Pradesh Public Service Commission (APPSC) is the state level government authority that monitors the recruitment of man power in various government organizations. Every year APPSC releases various job notifications for aspirants seeking Government jobs in AP. While recently the APPSC has hosted a recruitment notification for 748 Assistant Executive Engineer (AEE) posts. Candidates having the suitable eligibility criteria have applied for APPSC AEE Posts. Applicants have competed in thousands for these posts. Candidates will be selected through preliminary test, mains examination and interview. While the APPSC has completed 2 phases of selection process for AEE posts. Candidates have completed the APPSC AEE Mains Examination in their allotted slot. The applicants are expressing that, the competition is more for these limited number of vacancies. Though, candidates have given their best to succeed in the examination. Now, all the aspirants can check their APPSC AEE Mains 2016 Result, Cutoff marks from the official website, appsc.gov.in or below. How to Download the APPSC AEE Mains Exam Result 2016-17? Every one of the contenders must visit the APPSC Official website, psc.ap.gov.in initially. Search for APPSC AEE Mains Result 2016 Link on homepage. Click on it and enter the necessary details over there; And click on submit button. The AP AEE Result, score will display on the screen. Check the result and take a printout for reference in future. appsc aee expected cutoff marks 2016: The Public Service Commission of AP state also released the cutoff marks and merit list of qualified candidates. The competitors who are having hope about their contending in the examination can switch over to the APPSC official website immediately. Candidates must score above the announced cutoff marks to clear the examination. Aspirants clearing the APPSC AEE Mains examination will be forwarded to the next level that is interview round. The Cutoff marks will be different for General, BC, SC, ST Candidates. The category-wise cutoff marks can be downloaded or checked from the official website. The APPSC will shortly make an announcement regarding the AEE Interview dates 2017, APPSC AEE Interview Call letter release date 2017. Candidates can keep checking the official website for regular updates. Here we will post the regular updates on our page. Candidates can bookmark this page by pressing Ctrl + D to know the APPSC updates time to time. Sir I got aee 178 mech BCD male zone 4, is there any chance? I got 246.79 marks belongs to bc e Is there any chances to get job? hi.. is there interview for final selection? or is it based on the marks attained in mains exam only? please clarify regarding interview. no interviews for final selection …it is based on zonal merit in each category..